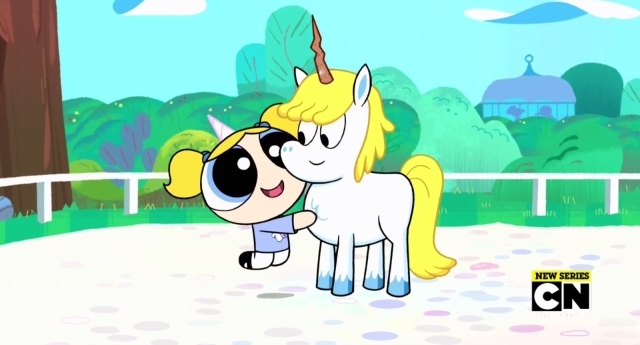 Cartoon series The Powerpuff Girls has featured a plot in which a transgender horse is convinced to transition to a unicorn – but becomes a monster instead. The popular cartoon was recently revived by Cartoon Network – and an episode of its new run deals explicitly with trans issues. In the episode, main character Bubbles encounters Donny, a talking horse who runs around with a fake horn on his head. Bubbles convinces him to undergo a risky “transmogrifying” procedure to become a unicorn. The horse agrees to the procedure without looking through the consequences – but it goes wrong and he turns into a giant monster. Donny eventually finds a way to revert’ to his old self with help from the “Unicorn Coalition Alliance Brigade Headquarters”… and finds out he was a unicorn all along. The episode ends with a heart in the shape of the trans pride flag – though some transgender people were left confused by the apparent anti-surgery slant of the cartoon. Executive producer Nick Jennings told the LA Times: “Basically when it starts out, he’s a pony, but he wants to be a unicorn. The show’s villain ‘Him’ has long been portrayed as of ambiguous gender. Click here to see 12 LGBT icons re-imagined as Powerpuff Girls.